Arlozorov Suites offer 25 spacious rooms with A/C., located at the center of Tel Aviv, few steps away from the beach, leisure, cultural and business centers. transportation is available (buses,taxis,train and private cars). A new coffee bar at the lobby offer rich breakfast and continental breakfast and a room service. 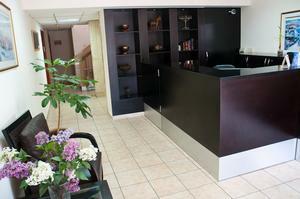 At the lobby there is an access to wireless internet. Free parking, access for handicapped. Kids up to 2 years old free of charge. The suites include kitchen equipped with- minibar, microwave, kettle, hot-plate and more... Every room has A/C, cable TV ,hairdryer. Every room contain single/double, extra bed - upon request by customer. Exit Ben Gurion Airport and follow signs to Tel Aviv on highway no. 1 ( Ayalon North). Exit on Arlozorov St.and make a right . 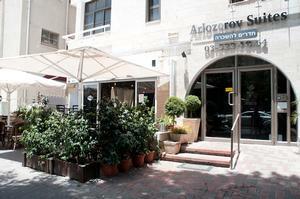 Keep driving straight ahead till Arlozorov 23 (on the corner of Dizengoff st.). 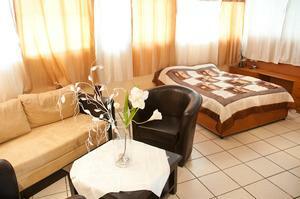 "The rooms were basic, but roomy, and everything worked. It is a little down at the heels, and t..."